Written within the past year (with lyrics by Lambert and music co-written by Lambert, co-producers Eric Rosse and Benny Cassette, and songwriter MoZella), Heart On My Sleeve is an honest depiction of where Lambert is now. This year has been the best of my entire life, which is not to say it hasn't come with its fair share of hurdles, heartbreak, and harsh lessons, she says. I can only write about the experiences I've had. I signed to a major label. I went through a break-up. I figured out how to be an independent person. I have been terrifyingly honest to the public about traumatic events in my life. I met the woman of my dreams. I have been on the road nonstop, away from those I love, but with the opportunity to sing about gay rights to hundreds of thousands of people. This album is inspired by the depth of all of that love, and the journey that it takes to get there. I love this whole album! At times upbeat, thoughtful, lovely--it's a great CD to listen to and catchy as all get out! Her song "Secrets" completely won me over so I decided to give the CD a chance and preordered it. I am definitely glad I did that, her song is just beautiful and I enjoy it from beginning to end. I didn't realize when I purchased it that her "Jessie's Girl" is a remake of Rick Springfield's song. It was a fun difference to hear a girl sing the song. Ribcage is my second favorite song, it features Angel Haxe and K.Flay, but they don't take over the song like I hear in many featured songs on other soundtracks. It's nicely balanced, but with her still being the focus. Definitely recommend! I was listening to the Album, trying to decide if I should buy it. The cover of "Jessie's Girl" tipped the scale and I bought the album for that song. I would say that Mary Lambert does not sing pop music, and is more poetry than music. Never heard of Mary Lambert until today. Watched a Youtube video of her and had to get the album. 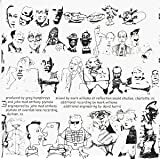 I rarely by a whole album. All the songs are inspiring and just plain fun to sing with. I absolutely love this album. 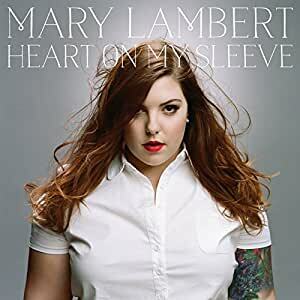 Mary Lambert is the voice of women everywhere-lesbian or straight. She sings from the heart. Body issues, insecurity, love, longing and the human condition. Wonderful.